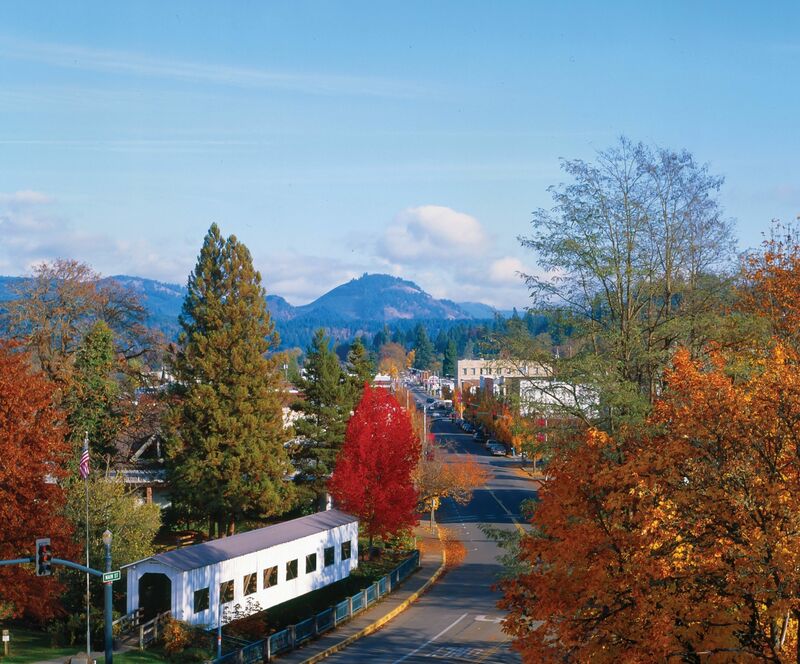 Cottage Grove is a friendly, recreation oriented small town, located at the southern end of the Willamette Valley, approximately 20 miles south of Eugene/Springfield. Cottage Grove has many recreational opportunities with Dorena Lake and Cottage Grove Lake, just minutes from the downtown, Row River Trail system, two golf courses, many antique and second hand shops, a local theater, two museums, and a bowling alley. Annual community events include Historic Home Tours, the Cottage Grove Rodeo, Bohemia Mining Days and the Family Fun Fair-Western Oregon Exposition. Cottage Grove is considered the "Covered Bridge Capital of Oregon" with six covered bridges located in and around the City of Cottage Grove. In 1968 and again in 2004, Cottage Grove was selected as an All-America City, one of only two cities in the State of Oregon to have received the All-America City award twice. Grade Schools: Bohemia Elementary, Delight Valley, Harrison Elementary, Latham Elementary, Dorena School K-8, London School K-8.